On this Creation Adventure, we'll learn about birds in general and then focus on Florida birds at Orlando Wetlands Park in East Orange County near Christmas, FL. According to the U.S. Fish and Wildlife Service, birding is the number one sport in America! The U.S. has over 51 million birders, and the number is growing. On this “Introduction to Birding” field trip, we will first learn how birds were specifically designed by their Creator to do what they do. - how to identify birds. 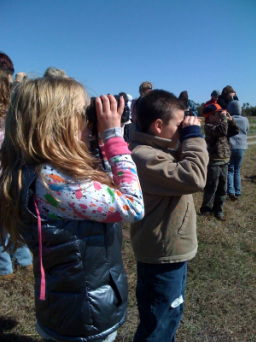 Then, we will take a hike observing birds in the wild at Orlando Wetlands Park. 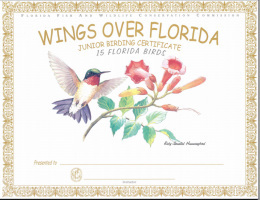 Children will have the opportunity to earn a Jr. Birding Certificate through Florida Fish and Wildlife Conservation Commission's Wings Over Florida program and also learn how to continue earning advanced birding certificates on their own. Our day will include information on birding resources, how to start a bird “life list,” how to use bird alpha codes, how to create a backyard habitat for birds, where to see birds around Florida, bird crafts, and more! This adventure at Orlando Wetlands Park should be scheduled in January, February, or March for the best bird viewing opportunities. Minimum age: First Grade (some areas are not stroller accessible). Cost: $15 per person for all ages - children and adults. 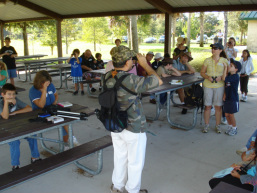 Orlando Wetlands Park is not available to education groups on Fridays. This Creation Adventure may be scheduled on Monday through Thursday. To visit our website calendar and check for available dates or currently scheduled adventures, click here. Join our For the Birds field trip on Monday, January 21, 2019. OPEN TO ALL. Scheduled by Science Partners.